Introduction: This morning we are interviewing Denver-area patent attorney Mark Trenner. Mark has been practicing as a patent attorney in Colorado for almost 14 years; the past 9 years at Trenner Law Firm. While his practice focuses primarily on helping small businesses protect their inventions with patents, Trenner Law Firm assists clients build out all aspects of their intellectual property portfolio, including copyrights, trademarks, and trade secrets. 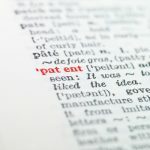 Interviewer: The National Law Review recently published an article titled “Patent Ownership in Germany: Employers v Employees.” Why should our listeners be interested in German patent law? Interviewer: So if I’m not an international company with employees in Germany, should I stop the video? Patent Attorney: Not at all. While there is no uniform law in the United States governing assignment of inventions, that is, each state has its own law, any inventor who is also an employee should be aware that their company may require that they assign over rights in any invention they make to their employer.